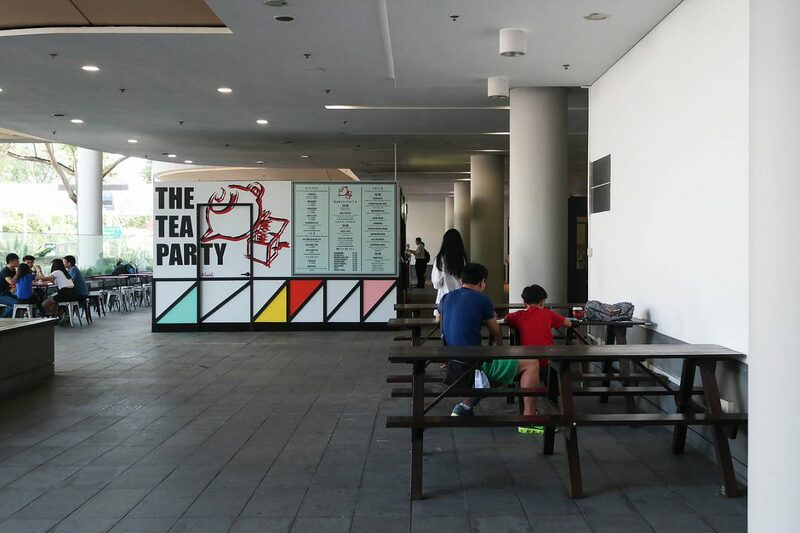 Right at the heart of town, SMU’s city campus is a blessing for students looking to study in a not-too-quiet environment that’s easily accessible. 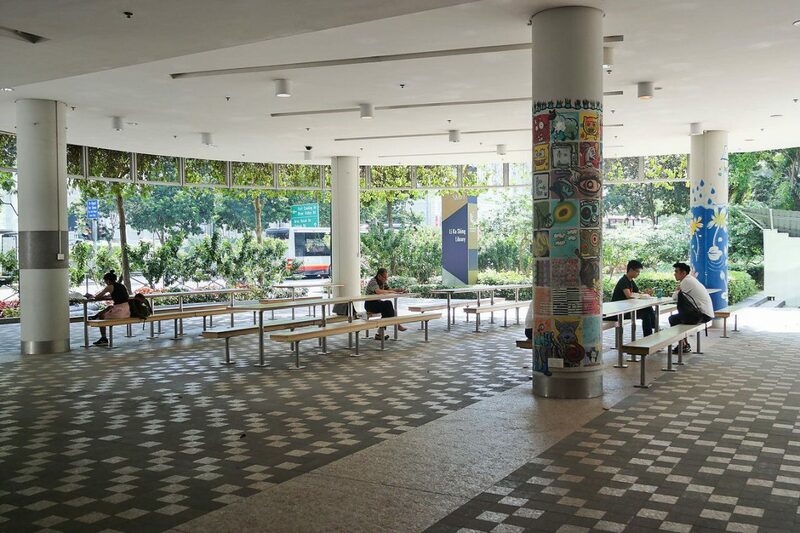 Outdoor chairs and tables are available all around the campus at the ground level and basements, so grab one and study away! 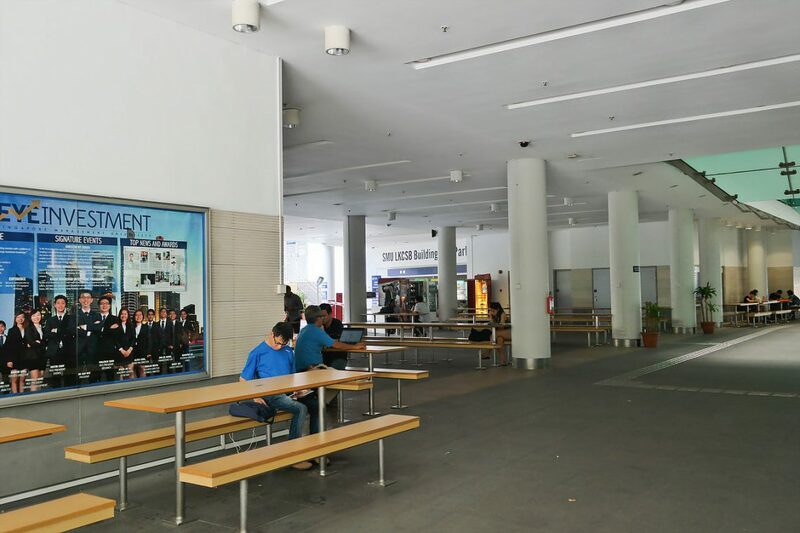 Not only is the bustling atmosphere created by SMU’s vibrant campus life is sure to energize you as you are studying, the convenient location makes food accessible if you want to take a break from hitting the books! 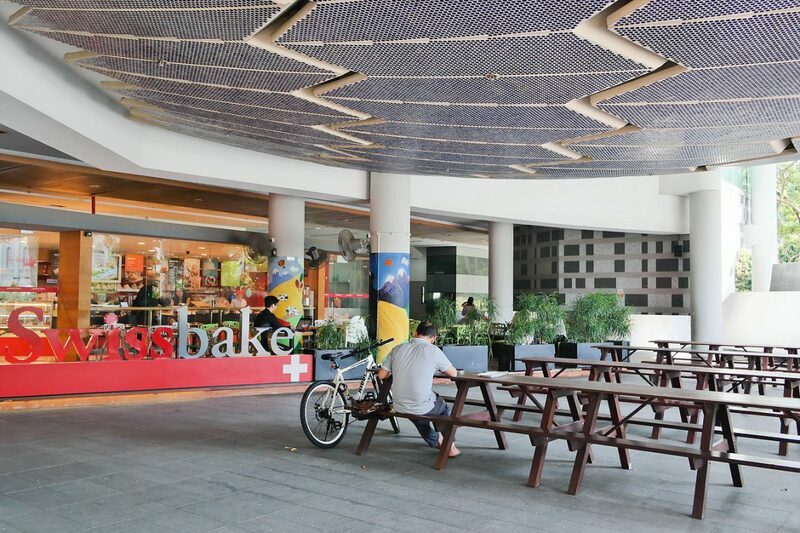 While you face competition from SMU students for space, this place is ideal for those who need white noise to focus! 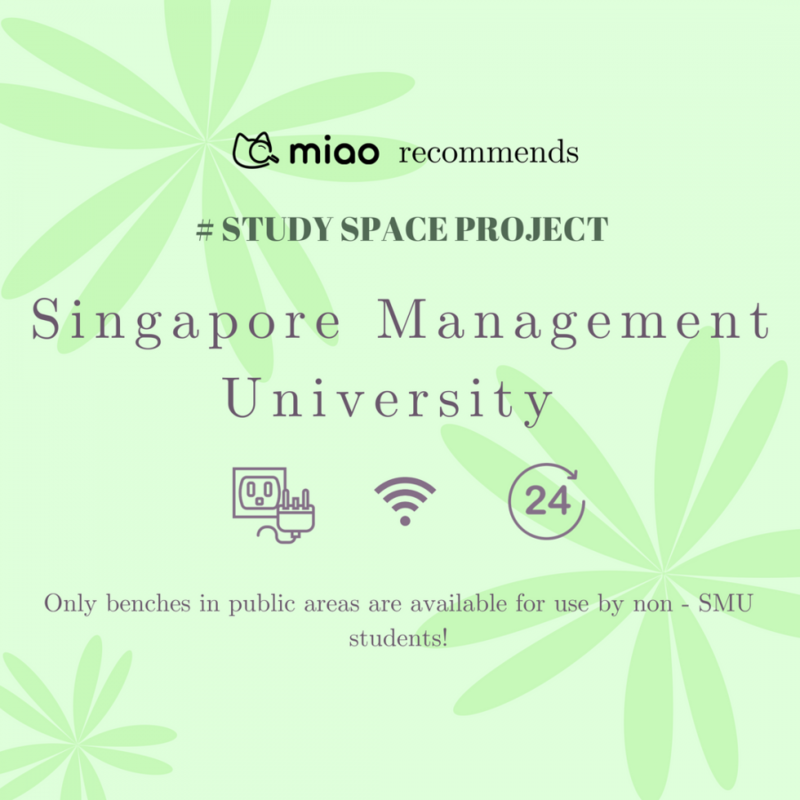 Note: Only benches in public areas are available for use by non-SMU students. 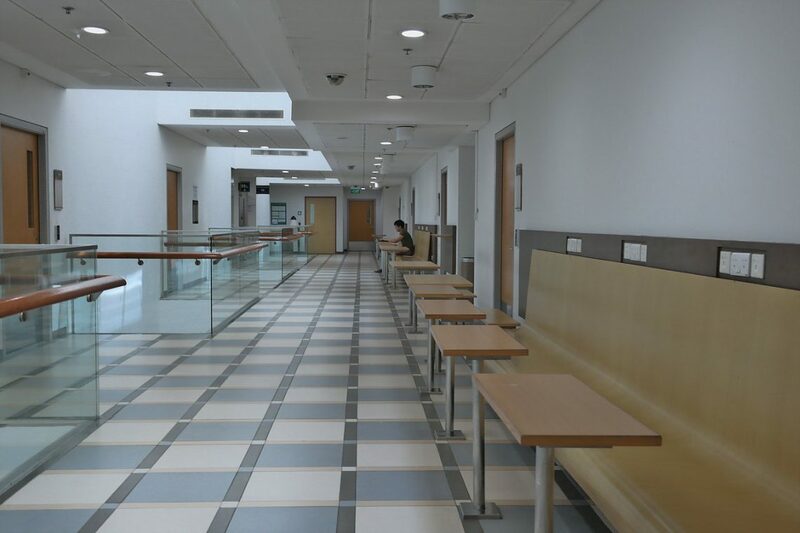 Locations like the Vanguard Building behind School of Business (SOB) is dedicated entirely to SMU undergraduates. 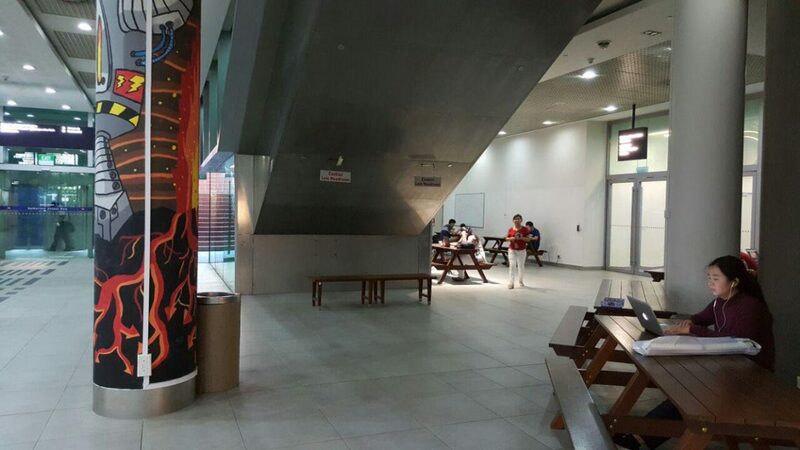 Additionally, look out for signs that remind the public that certain study areas are not open to the public for use.